Photographer David de Souza belongs to a small group of intellectuals who dare to live life against the diktats of society and practice their chosen profession with a pervasive joy and freedom, teaching others to follow suit and dare to dream differently. He advocates the liberty to traverse different fields of occupation as he moved from the sciences to the arts: a phenomenon more prevalent in these modern times in India than it was in the past. David left formal schooling of nineteen years equipped as a biochemist, and the rebel that he is, he chose to walk the road not chosen by most by working in an adivasi village in Nasik with the non-profit organisation Maharashtra Prabodhan Seva Mandal. It was here that the realisation dawned that his education held no weight in the balance to experience and reality. And so began the process of casting pretentious knowledge to the wayside. After reading Roman Catholic priest and Austrian philosopher Ivan Illich’s surmise about the disconnection between education and schooling, and Sir Ken Robinson’s views in the same area, his own ideas were reinforced, prodding him to conclude that the school system cannot be fixed and therefore must be uprooted and re-established in a way that best benefits individual self-determination, and by consequence redeems all of humanity. The present school system was born out of the Industrial Revolution , when certain occupations came into existence and individuals had to be trained to fit those occupations. ‘I exhort you not to take anything that you see for granted,’ says David, owing to the tendency of most people to blindly accept norms established by family and society. He chanced upon Friedrich Nietzsche’s Twilight of the Idols at this point, which tells us to knock on our idols to see if they ring true. Most often they do not and we end up burdened by strictures that may have worked for our parents and grandparents. David believes that art has lost it uniqueness in these times and no longer has the capacity to motivate. Setting about to rectify the situation in his own way, he and his wife Charmayne gave up reading the newspaper and watching television as they felt the media was not contributing to any intellectual stimulation but rather aiding a sense of regression. ‘I have a beef against black and white photography. Much of my early work was in black and white,’ says David as he proceeds to explain this contradiction. At the start of his career in photography, David shot black and white photographs for the simple reason that the film was cheaper and easier to control. ‘Black and white is a lie in photojournalism!’ he exclaims, stressing the idea that reality can be reflected authentically in 3D and colour. India has a vibrancy of colour unlike many western countries. If one were to emerge from Schiphol airport in Amsterdam, one would be subject to a vision limited by black, white and grey. David supports his belief that human physiognomy is determined by light and gravity by giving the example of lighting in horror movies. When light is reflected from below onto a person, it generates the impression of a ghoulish being. Apart from being reflected off surfaces, charting the Sun’s position moving through the day from sunrise on the horizon, at noon overhead and on the horizon again at sunset, David says, ‘We are designed that light strikes us in a particular way.’ According to him, our visual aesthetic is determined by light which is reflected in a different way depending on where we are in the world. ‘Light informs the way we operate… I’m convinced that if we lived in a universe with ten suns…I’m sure our aesthetic will change because we will have ten different kinds of light and ten different ways that environment is informed,’ he says. Criticising the market driven global art, David asserts the need for identity and individuality to shine through art. It is his opinion that all art needs to be embraced without demarcation in terms of high or low art and good or bad art. Proceeding to display his presentation of photographs at Kokum Design Centre, Porvorim, David explains, ‘I’m very influenced by the book, the physical book. The book lends itself to something called the diptych (two photographs side by side).’ A devotee of American photographers Richard Avedon and Irving Penn, David praises the two for their contribution to the art of photography. The presentation consisted of black and white photographs by Richard Avedon, bold and startling in their content, with David cautioning the audience not to judge the master for choosing the medium of black and white. Penn’s photographs were included too. 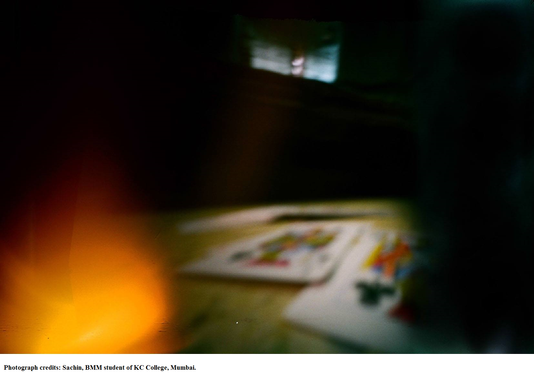 Penn was a master of versatility and moved from strength to strength as a photographer, ever providing a learning ground for his followers: a man who inspired one to question art with his platinum printed photographs of cigarette butts. Photographs by Steven E2010 and Mumbai children from David’s Picture Mumbai were part of the photographic presentation. Steven E2010 on Flickr is another of David’s favourites. What makes him stand apart from the others is that he is clinically colour blind. 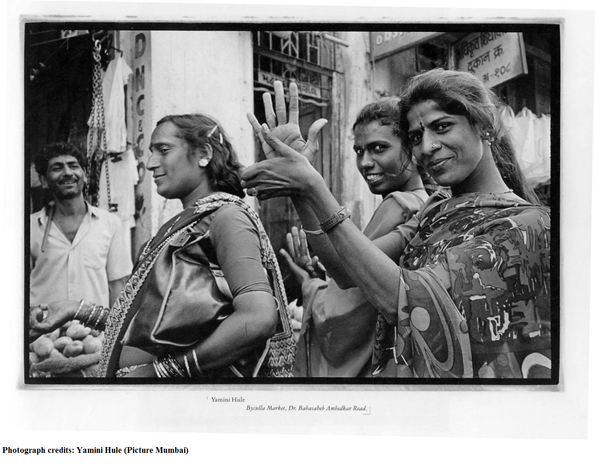 Picture Mumbai comprised of photographs taken by children who had never handled a camera before. David speaks of the inclusion of photographs by himself and one of his students called Sachin, ‘Sachin was a fellow who didn’t like photography particularly. He had to take it only because he had chosen to study Mass Media. He just kind of sat there bored most of the time,’ says David. The entire class was given a project to do on the ‘Familial’. The students could use any camera they wanted and interpret the theme subjectively. After being frustrated following repeated attempts at capturing a good shot, Sachin created his own pin-hole camera based on a YouTube tutorial and came up with fascinating pictures that clearly impressed David. David’s photography is abstract in concentration, surrealistic and creatively photoshopped. The presentation was a learning experience in provoking oneself to appreciate art from different perspectives and for itself alone. Visit daviddesouza.com to view more of David de Souza's photography.